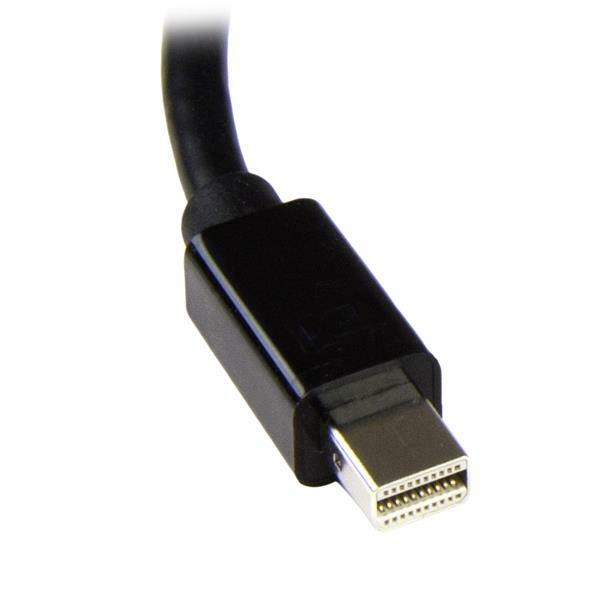 This unique Mini DisplayPort™ to VGA adapter is equipped with a built-in audio port which lets you connect Mini DisplayPort equipped devices, such as a Microsoft® Surface™ Pro devices or MacBook Air laptop, to a VGA display or projector with audio. Because most boardrooms are set up differently, the length of cables available in each room vary. Not all laptops have the Mini DisplayPort (mDP) and audio ports positioned on the same side, which can become awkward when you’re trying to share your presentations. It can also mean that some ports may be just out of reach during a meeting. 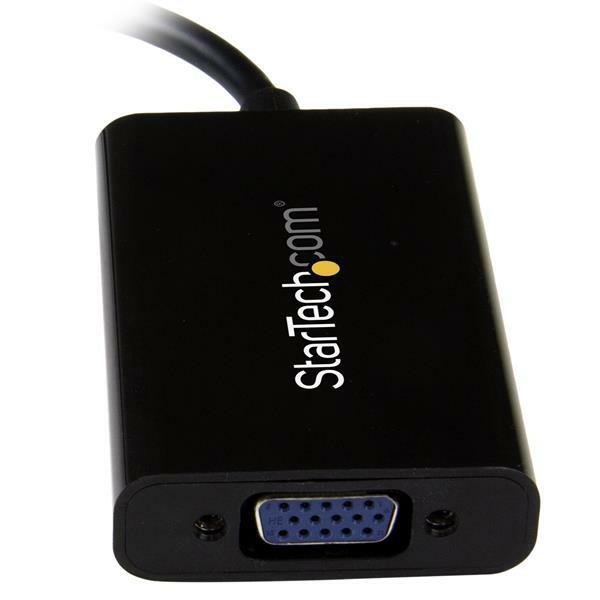 This mDP to VGA adapter is extremely portable with a lightweight, small-footprint design. It’s the perfect accessory to carry with your mobile devices, fitting easily into your laptop bag or carrying case. 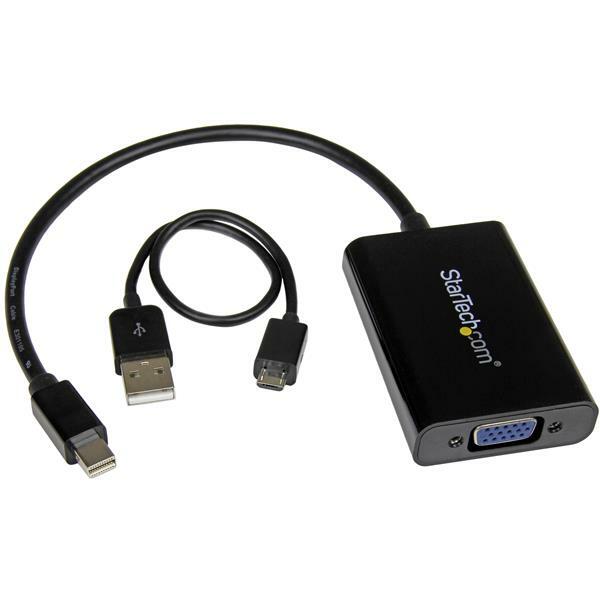 Its ultra-portable design makes the adapter ideal for BYOD (Bring Your Own Device) applications at the office. 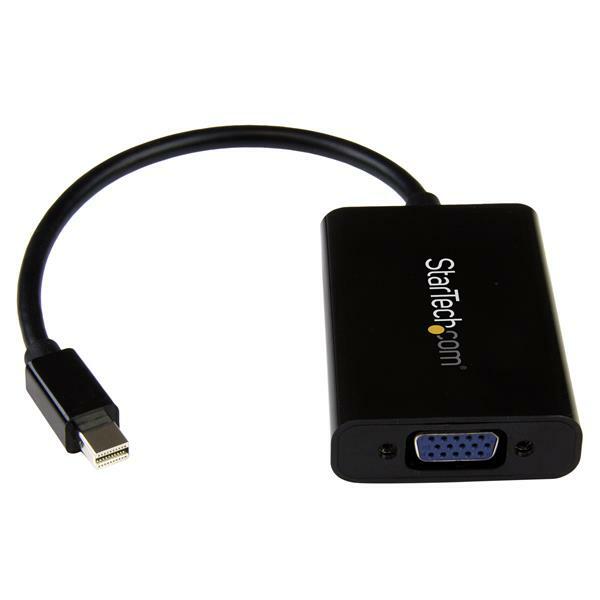 The adapter is compatible with Intel® Thunderbolt™, when connected directly to a supporting DisplayPort over Thunderbolt™ I/O port, and supports resolutions up to 1920x1200 (WUXGA). The MDP2VGAA is backed by a 3-year StarTech.com warranty and free lifetime technical support.